Flueggea virosa (Roxb. ex Willd.) Royle. of family Euphorbiaceae is commonly grown medicinal plant. The plant contains large number of phytochemicals such as alkaloids, triterpenoids, resins, steroids, cardiac glycosides, bergenin, menisdaurin and anthraquinones. The study revealed the plant to be a potential source of nutrition, mineral and drugs. This review aims to provide an up to date overview of the phytochemistry, pharmacological data as well as traditional uses of the plant in view of discussing its medicinal value and potential application in complementary and alternative medicine. Keywords : Flueggea virosa, Euphorbiaceae, Phytochemistry, Traditional uses. Renu, Satya Narain, Archana Rawat, Jaswinder Kaur, Santosh Kumar and Nahid Fatima (2018) Taxonomy, phytochemistry, pharmacology and traditional uses of Flueggea virosa (Roxb. ex Willd.) Royle: A Review, Int. J. of. Life Sciences, Volume 6(2): 579-585. I thank University Grants Commission, Western Region, Pune, India for providing the financial support. I also thank the College for providing the laboratory facilities. Aiyelero OM, Abdu-Aguye SN, Yaro AH and Magaji MG (2012) Behavioural studies on the methanol leaf extract of Securinega virosa (Euphorbiaceae) in mice. Journal of Pharmacognosy and Phytotherapy. 4(2): 12-15. Burkil HM (1994) The Useful Plants of West tropical Africa, Royal Botanical Garden; Kew, Richmond, United Kingdom. 2ndedit. Vol. 2. 636pp. Chao CH, Cheng JC, Shen DY and Wu TS (2014) Anti-Hepatitis C Virus Dinorditerpenes from the Roots of Flueggea virosa. Journal of Natural Product. 77 (1): 22−28. Chao CH, Cheng JC, Hwang TL and Wu TS (2013) Trinorditerpenes from the Roots of Flueggea virosa. Bioorganic and medicinal chemistry letters. 24(2). Chao CH, Cheng JC, Shen DY, Huang HC, Wu YC and Wu TS (2016) Terpenoids from Flueggea virosa and their anti-hepatitis C virus activity. Phytochemistry. 128: 60-70. Chauke AM, Shai LJ, Mphahlele PM and Mogale MA (2012) Radial Scavenging Activity of selected Medicinal Plants from Limpopo Province of South Africa, Africa Journal of Traditional complement and Alternative Medicine. 9(3): 426-430. Danlami U, David BM, Joyce OO, Olutayo O and Thomas SA (2013) The Antioxidant Potentials and Phytochemical Properties of the Hexane, Ethyl acetate and Ethanolic Extracts of Securinega virosa (Euphorbiaceae) Leaves., Journal of Applied Pharmaceutical Science. 3 (05): 131-133. Danlami U, Olakunle F, Lawal DR, Galadanchi KM and Oziohu OR (2015) Phytochemical screening and antimicrobial activity of ethyl acetate, hexane and ethnolic extracts of Securinega Virosa leaves. Journal of Pharmceuitical and Biological Sciences. 3(3): 126-128. Dehmlow EV, Guntenhoner M and Ree TV (1999) A novel alkaloid from Flueggea virosa: 14, 15-epoxynorsecurinine. Phytochemistry. 52: 1715-1716. Dickson RA, Houghton PJ, Hylands PJ and Gibbons S (2006) Antimicrobial, resistance-modifying effects, antioxidant and free radical scavenging activities of Mezoneuron benthamianum Baill., Securinega virosa Roxb. ex .Wlld. and Microglossa pyrifolia Lam., Phytotherapy Research. 20 (1): 41-45. Ezeonwumelu JO. Matuki EK, Ajayi AM, Okoruwa AG, Tanayen JK, Adiukwu CP, Goji AD, Dare SS, Okonkwo CO and Byarugaba F (2013) Phytochemical screening, Acute toxicity and Analgesic Properties of Aquous Extract of Flueggea virosa’ s Root in Rats. Ibnosina Journal of medicine and biomedical sciences. 5(1). Ezeonwumelu JOC, Omar AN, Ajayi AM, Okoruwa AG, Tanayen JK, Kiplagat DM, Okpanachi OA, Abba S, Ezekiel I, Onchweri AN, Okonkwo CO and Byarugaba F (2012) Phytochemical screening, acute toxicity, anti-inflammatory and antipyretic studies of aqueous extract of the root of Flueggea virosa (Roxb. ex Willd.) in rats. 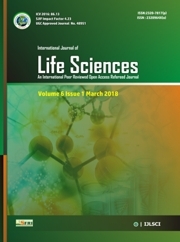 International Journal of Pharmacy and Biomedecal Sciences. 3(3): 128-135. Freiburghaus F, Ogwal EN, Nkunya MH, Kaminsky R and Brun R (1996) In vitro antitrypanosomal activity of African plants used in traditional medicine in Uganda to treat sleeping sickness. Tropical Medicine and International Health. 1: 765. Gan LS, Fan CQ, Yang SP, Wu Y, Lin LP, Ding J and Yue JM (2006) Flueggenines A and B, two novel C, C-linked dimeric indolizidine alkaloids from Flueggea virosa. Organic Letters, 8: 2285-2288. Iketubosin GO and Mathieson DW (1963) The isolation of hordenineand norsecurinine from Securinega virosa. The structure of norsecurinine. Journal of Pharmacy and Pharmacology. 15: 810-815. Kaigongi M and Musila F (2015) Ethnobotanical study of medicinal plants used by Tharaka people of Kenya. International Journal of Ethnobiology and Ethnomedicine. 1(1): 1-8. Kaou AM, Mahiou-Leddet V, Hutter S, Ainouddine S, Hassani S, Yahaya I, Azas N and Ollivier E (2007) Antimalarial activity of crude extracts from nine African medicinal plants. Journal Ethnopharmacology. 116: 74-83. Knolker HJ (2015) The Alkaloides-Chemistry and Biology. Academic Press Germany. Vol. 74. Magaji MG, Musa AM, Abdullahi MI, Yau J and Hussaini IM (2015) Isolation of bergenin from the root bark of Securinega virosa and evaluation of its potential sleep promoting effect, Avicenna journal of Phytomedicine. 5(6): 587-596. Magaji MG, Yaro AH, Mohammed A, Zezi AU, Tanko Y and Bala TY (2007) Preliminary antidiarrhoeal activity of methanolic extracts of Securinega virosa (Euphorbiaceae). African Journal of Biotechnology. 6(24): 2752-2757. Magaji MG, Anuka JA, Abdu-Aguye, Yaro AH and Hussaini IM (2008) Preliminary studies on anti-inflammatory and analgesic activities of Securinega virosa (Euphorbiaceae) in experimental animal models. Journal of Medicinal Plants Research. 2(2): 039-044. Maroyi A (2011) An ethnobotanical survey of medicinal plants used by the people in Nhema communal area, Zimbabwe. Journal of Ethnopharmacology. 136 (2): 347–354. Maroyi A (2013) Traditional use of medicinal plants in south-central Zimbabwe: review and perspectives. Journal of Ethnobiology and Ethnomedicine. 9:31. Maydell HJV (1990) Trees and shrubs of the Sahel. Their Characteristics and uses. Germany. Monkodkaew S, Loetchutinat C, Nuntasaen N and Pompimon W (2009) Identification and Antiproliferative Activity Evaluation of a Series of Triterpenoids Isolated from Flueggea virosa (Roxb. ex Willd.). American Journal of Applied Sciences. 6 (10): 1800-1806. Moshi MJ, Kapingu MC, Uiso FC, Mbwambo ZH and Mahunnah RLA (2000) Some pharmacological properties of an aqueous extract of Securinega virosa roots. Pharmaceutical Biology. 38(3): 214-221. Muthaura CN, Rukunga GM, Chhabra SC, Omar SA, Guantai AN, Gathirwa JW, Tolo FM, Mwitari PG, Keter LK, Kirira PG, Kimani CW, Mungai GM and Njagi EN (2007) Antimalarial activity of some plants traditionally used in treatment of malaria in Kwale district of Kenya. Journal of Ethnopharmacology. 112(3): 545-551. Neuwinger JD (1996) African Ethnobotany-Poisons and Drugs. Chapman and Hall, Weinheim, Germany. 495-499. Odongo SA (2013) Medicinal plants of chuka community in tharaka nithi county, kenya and some of their selected essential elements, Kenyatta University, Kenya. (Thesis). Pu HL, Huang X, Zhao JH and Hong A (2002) Bergenin is the Antiarrhythmic Principle of Flueggea virosa. Planta Medica. 68(4): 372-374. Royle JF (1836) Illustration of the Botany of the Himalayan Mountains. 9: 328. Ruffo CK, Birnie A and Tengnas B (2002) Edible wild plant of Tanzania. Regional land management unit Nairobi, Kenya. 766pp. Saito S, Tanaka T, Kotera K, Nakai H, Sugimoto N, Horii Z, Ikeda M and Tamura Y (1964) Structure and stereochemistry of norsecurinine and dihydronorsecurinine. Chemical and Pharmaceutical Bulletin. 12: 1520-1523. Sanogo R, Vassallo A, Malafronte N, Imparato S, Russo A and Piaz FD (2009) New phenolic glycosides from Securinega vorosa and their antioxidant activity. Natural Product Communications. 4(12): 1645-1650. Schmelzer GH, Gurib-Fakim A, Arroo R, Bosch CH, de Ruijter A and Simmonds MSJ eds (2008) Plant Resources of Tropical Africa 11(1)-Medicinal Plants 1. Backhuys Publishers, Wageningen, Netherlands. Singh B, Gupta V, Bansal P, Singh R and Kumar D (2010) Pharmacological potential of plant used as aphrodisiacs. International journal of Pharmaceutical Sciences Review and Research, 5 (1): 104-113. Singh R, Singh S, Jeyabalan G and Ali A (2012) An Overview on Traditional Medicinal Plants as Aphrodisiac Agent. Journal of pharmacognosy and phytochemistry. 1 (4): 43-56. Srivastava RC, Singh VP and Singh MK (2003) Medicinal plants of Jaunpur district (U. P.). Journal of Economic and Taxonomic Botany. 27(1): 148-159. Tabuti JRS (2007) Flueggea virosa (Roxb. ex Willd.) Voigt. In: Schmelzer, G.H. and Gurib-Fakim, A. (Editors). PROTA (Plant Resources of Tropical Africa) Wageningen, Netherlands. Tanko Y, Okasha MA, Magaji MG, Yerima M, Yaro AH, Saleh MIA and Mohammed A (2008) Anti-diabetic properties of Securinega virosa (Euphorbiaceae) leaf extract, African Journal of Biotechnology. 7(1): 022-024. Tatematsu H, Mori M, Yang TH, Chang JJ, Lee TT and Lee K (1991) Cytotoxic principles of Securinega virosa: Virosecurinine and viroallosecurinine and related derivatives. Journals of Pharmaceutical Sciences. 80(4): 325-327. Wang GC, Liang JP, Wang Y, Qian LI and Wen-Cai YE (2008) Chemical constituents from Flueggea virosa. Chinese Journal of Natural Medicines. 6(4): 251-253. Wang GY, Wang AT, Zhao BX, PingLei X, Zhang DM, Jiang RW, Wang Y and Ye WC (2016) Norsecurinamines A and B, two norsecurinine – derived alkaloid dimmers isolated from the fruits of Flueggea virosa. Tetrahedron Letters. 57(34): 3810-3813. Webster GL (1970) A revision of Flueggea (Euphorbiaceae). Allertonia 3(4): 259-312. Willdenow CL v.1806. Species Plantarum. Editio quarta 4(2): 637, 757 [as Fluggea]–758. Yerima M, Magaji MG, Yaro AH, Tanko Y and Mohammed MM (2009) Analgesic and antiinflammatory activities of the methanolic leaves extract of Securinega virosa (Euphorbiaceae). Nigerian Journal of Pharmaceutical Science. 8(1): 47-53. Zhang H, Han YS, Wainberg MA and Yue JM (2016) Flueggethers B-D, Securinega alkaloide with rare oligomerizing pattern from Flueggea virosa. Tetrahedron Letters. 57(16): 1798-1800. Zhang H, Zhu KK, Han YS, Luo C, Wainberg MA and Yue JM (2015) Flueggether A and Virosinine A, Anti HIV Alkaloids from Flueggea virosa. Organic Letters. 17(24): 6274-6277. Zhao BX,Wang Y, Zhang DM, Jiang RW, Wang GC, Shi JM, Huang XJ, Chen WM, Che CT and Ye WC (2011) Flueggines A and B, two new dimeric indolizidine alkaloids from Flueggea virosa. Organic Letters. 13(15): 3888-91.